We’re only into the third month of the year and we have as many integration projects completed. Integrating disparate systems within a casino is what we love doing and that’s one of the things our clients love about us. I want to make particular mention of our recent key cabinet integration with Key Systems Inc in New York as they are a great team. The level of integration has been phenomenal and it’s exciting to see two companies work together so openly for the benefit of casino protection. Keys will always be an important inventory item within casinos and our goal was to improve the monitoring process when it comes to key usage. An important key in the wrong hands can be disastrous. No need for additional access requirements. CHEETEYE already integrates into the HR system so there is no need to maintain a separate staff user profile in the Key System i.e key usage rights are added to the CHEETEYE staff profile. Improved surveillance monitoring. As a result of key usage being added to a CHEETEYE staff profile, discrepancies that often exist between security and surveillance are now eliminated e.g. 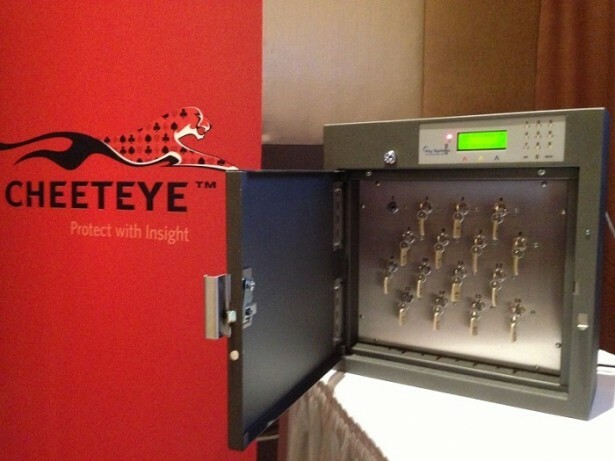 When an important key is checked out, the key system creates an automatic surveillance log and notifies surveillance. To see how we’re helping casinos integrate disparate systems to improve casino protection, visit us at booth 314 at NIGA next week.